> WHY SHIP PLANTS IN POTS? → Plant at your leisure. 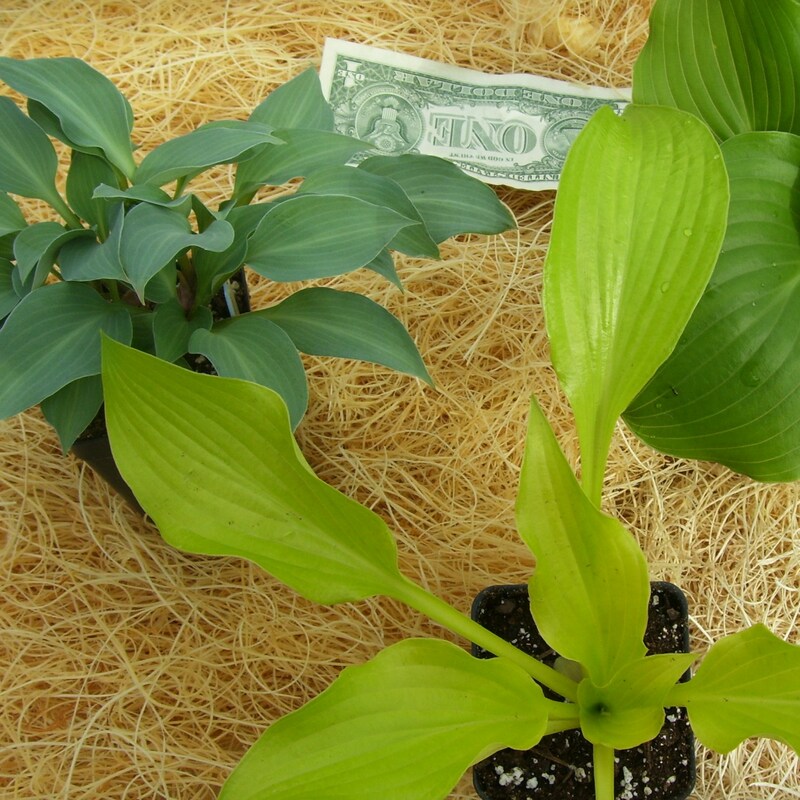 Potted hostas will keep indefinitely until your schedule allows you to plant them. In our busy lifestyles sometimes gardening is not first on our priority list. → Plants grown in 3" pots are easy to transplant into the garden. No valuable time is needed to do the (often unpleasant) task of digging big, deep holes. This feature makes most of our customers very happy, and coming back for more! → Our hardy potted plants endure very little shock during shipping because they already have an established root system supplying them with energy during the brief journey to your home. This allows them to "hit the ground running". Most of our SUPER-CHARGED plants will reach the '1 gallon' size the first year, often in just several weeks. → Our plants are individually grown in sterile soil. This eliminates most possibilities of encounters with viruses and diseases. We take every precaution possible to ensure our plants are healthy and vigorous. Our plants are guaranteed free from all diseases and viruses, including 'Hosta Virus X'. → Plants potted and growing are a "sure thing". No risk losing dormant plants. No need to nurse dried, sleeping roots. You get beautiful foliage immediately.